This week’s Photo Challenge is “Extra“. The challenger wants us to show pictures which includes a little somethingin them. Here are three photos of the same theme that has got a little something slipped into the pictures. 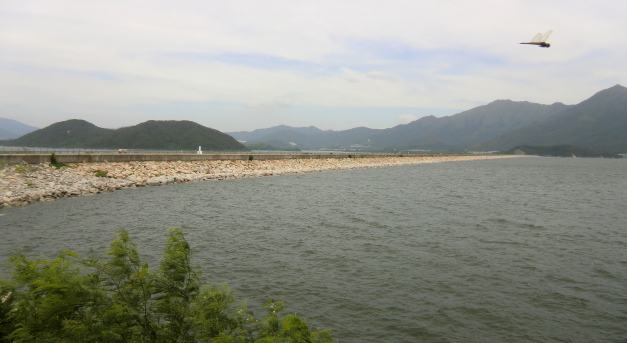 We were walking on the dam of the Plover Cove reservoir which was formed by building a dam in the sea and pumped the water dry on one side. So, on one side, you have the side and on the other side, you have the fresh water reservoir. 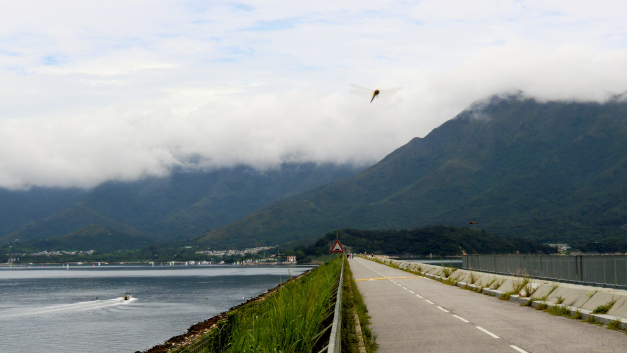 The reservoir, when constructed in the 60s, was the world’s first fresh water lake reclaimed from an arm of the ocean.